Our three-year Business Management with Economics BSc(Hons) will help you to develop both the academic and practical skills you need to thrive in your business career whilst exploring how to apply economics techniques and theories in assessing markets and business planning. Along with a foundation in business and management this course enables you to use economic techniques to analyse markets and evaluate business strategies. You will also have opportunities to explore areas including financial markets, business ethics, game theory and behavioural economics. Business Management with Marketing BSc(Hons). Students with good first-year grades also have the opportunity to convert to the four-year Business Management with Economics and Placement Year BSc, which includes a salaried work placement during the third year and a CMI Diploma in Management and Leadership, adding valuable experience to your CV. Our Business Management BSc(Hons) programme is ideal for gaining an understanding of the diverse areas of modern business management. It will help you to decide which area of business you would like specialise in, whilst also preparing you to be your own boss. You will develop confidence and expertise in analysis, business communication, teamwork, and transferable skills in preparing briefs, plans and reports, presenting, budgeting and evaluation. You will also explore topics including financial markets, business ethics, game theory and behavioural economics. As you progress, the flexibility of this course allows you to tailor your learning to your interests through optional modules. From your second year, you can also choose to specialise in the area of business which interests you most: economics, finance, human resource management or marketing. Students who achieve the required standard in year 1 may transfer to the four-year Business Management with Economics and Placement Year BSc(Hons), which includes a year in industry. All our Business Management degrees share the same first year core modules to give you a broad understanding of business principles. Core modules include aspects of economics, marketing, HR, organisational behaviour and finance, to give you a broad understanding of business principles and practice. You can then choose to specialise from year 2. I this module you will create a business plan, a project plan and a marketing plan that include a digital presence. You'll integrate and apply skills and learning from other year one modules using project management skills to deliver a practical and applied business project, and will need to demonstrate a clear understanding of market dynamics, financial structures and HRM employment strategies. The module is underpinned with a strong skills component which develops quantitative, research, project, academic, team working, personal development and business skills. This module will introduce you to the use of digital technologies and operations management in business. From your second year, through the module choices you make, you can either continue along the business management with economics degree route, or specialise in HR, finance, or marketing. In your final year you will have the opportunity to develop a specialism by selecting from a broad range of business and economics options. You will also be able to tailor your course to your interests through optional modules, including financial markets, international business, and corporate social responsibility. Andrew is a Senior Lecturer at Brighton Business School and course leader for the Business/Business Management with Economics, with Finance and with Human Resource Management degrees. Andrew is also an active researcher, working alongside colleagues in our Centre for Research in Innovation Management (CENTRIM) to explore contemporary innovation management issues. 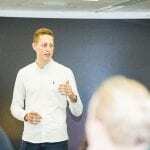 Andrew teaches strategy to undergraduates on this course and innovation studies and research methods to masters students as a management pathway. He is lead author of the module Design and Innovation in which students develop their understanding of innovation concepts through the design of familiar products, services and symbols. You can read Andrew’s full profile here. Working in a group for a university project doesn’t always go as smoothly as you would like. 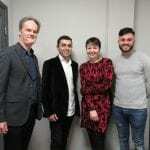 A group of final year Business students managed to secure a consultative meeting with Caroline Lucas M.
Many students find jobs to help finance their university courses but one student’s enterprise has earned a little more than most – £60,000 in one month to be precise. Opportunities to tailor your learning on the degree course provide excellent preparation for roles in general management and specialist careers; for example, employee relations, marketing, recruitment and selection as well as roles in accountancy, risk management, consultancy, and specialist economics careers. We also work with organisations to develop our course programme. For example, we are working with SAP, the world’s largest business software company. During our second year module, Managing Systems, students gain practical experience working as a team to manage a business scenario by using SAP’s Enterprise Resource Planning system, which is considered industry-standard software. Our dedicated Placements and Employability team provides a huge portfolio of employers offering business-related placement opportunities. They support all students find a placement. We are one of the first UK universities to use JobTeaser, a new online placements system presenting placement options in the UK and Europe. It gathers together all the job opportunities, events, and resources you need to help you with your professional development. Placement Fairs are held twice a year involving a range of companies from well-known names such as Sainsbury’s, Marks & Spencer, Enterprise-Rent-a-Car, and IBM, through to smaller and more local businesses. Our regular Employability Weeks offer a range of activities designed to enhance students’ employability, including LinkedIn workshops, sessions on working abroad, advice from the university’s volunteering service and support from the Careers team. Our Careers Service provides help and advice from the very start of your studies, on subjects including careers counselling sessions, CV checking, mock interviews and advice on setting up your own business. Find out more on our careers service website. Momentum is our award-winning mentoring scheme. It pairs students with professionals who wish to share their experience. Students and their mentors meet regularly to exchange ideas. The scheme helps students to develop new skills and enhance their career prospects. Find out more about the Momentum programme. 28 points including 16 at Higher level. Pass with 60 credits overall. Must include business or management. At least 45 credits at level 3, with 24 credits at merit or above. Frank Meacey is third-year student. 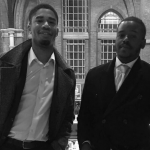 After studying the core economics module in his first year, Frank discovered an interest in financial foreign exchange, leading him to choose the Business Management with Economics pathway. Frank also went on to take a placement at World First Foreign Exchange in Westminster, London, allowing him to explore whether this could be a career choice for him, and to gain some practical transferable skills whilst on placement. Frank was also awarded the Alumni & Friends Award at our 2018 Excellence Awards for his second-year work.